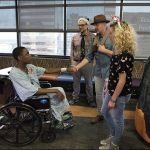 Two recent radiothons held in conjunction with local radio stations raised more than a million dollars for Texas Children’s Hospital. 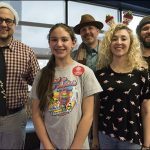 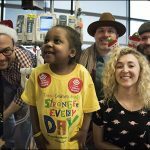 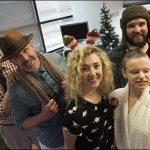 On December 6 and 7, Mega 101 FM raised more than $392,000 for Texas Children’s Hospital through its annual holiday Radiothon. 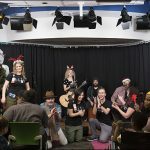 As the leading Spanish contemporary FM station, Mega 101 is an exemplary partner that represents giving back to the children and families in the community whenever there is a need by their listeners. 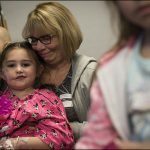 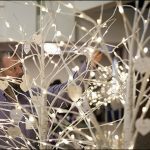 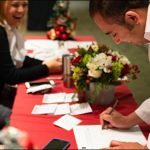 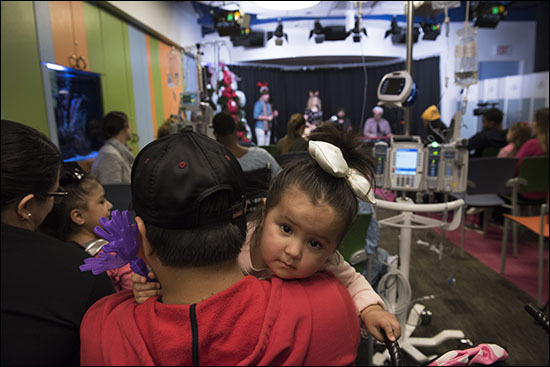 Days later on December 13 and 14, the 15th Annual Cox Cares For Kids Radiothon brought in more than $625,000 for Texas Children’s Hospital. 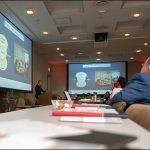 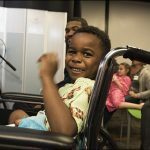 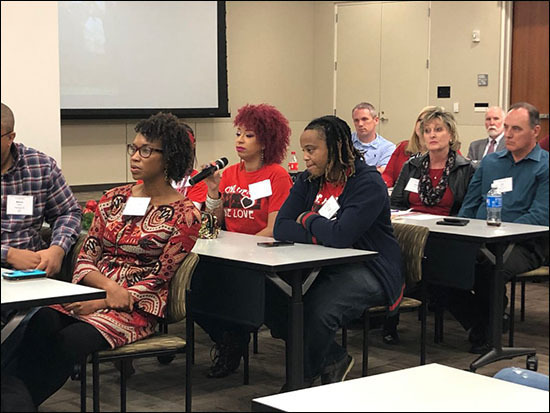 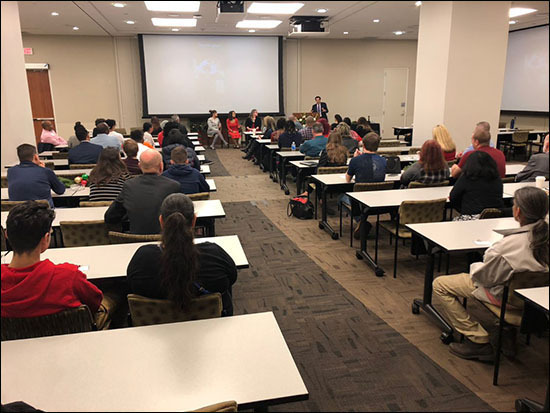 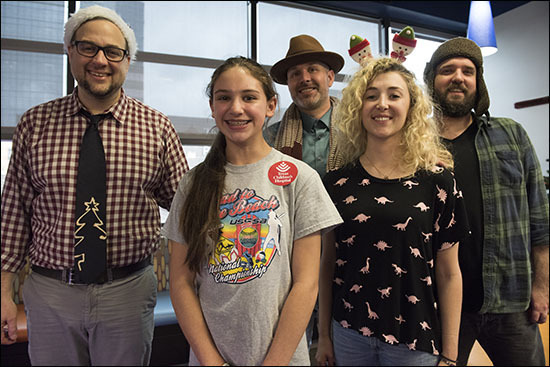 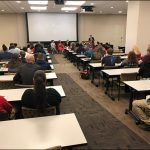 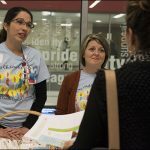 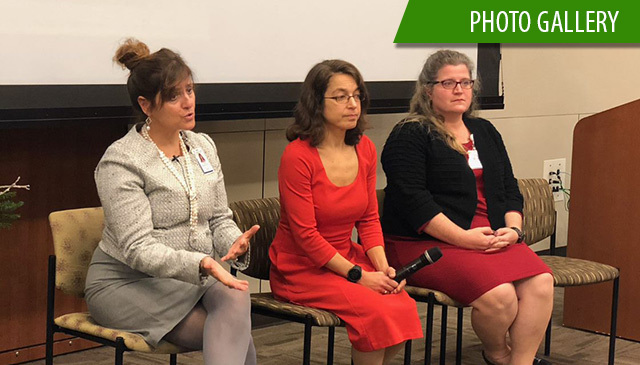 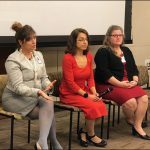 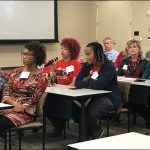 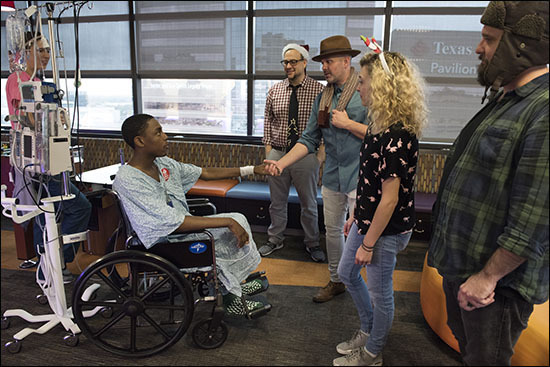 For two days, radio personalities from The New 93Q, Country Legends and The Eagle interviewed children and families who shared their stories of being treated at Texas Children’s. 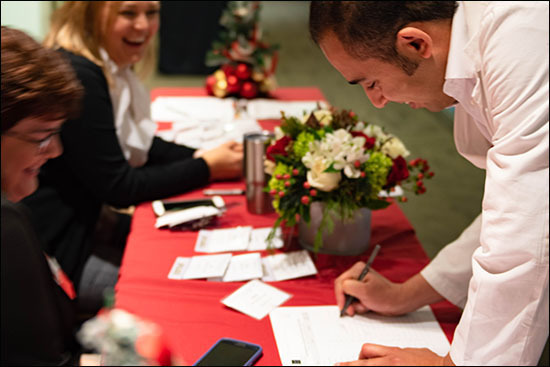 Donations were raised through pledges called into a phone bank, as well as those made online through a text-to-donate campaign. 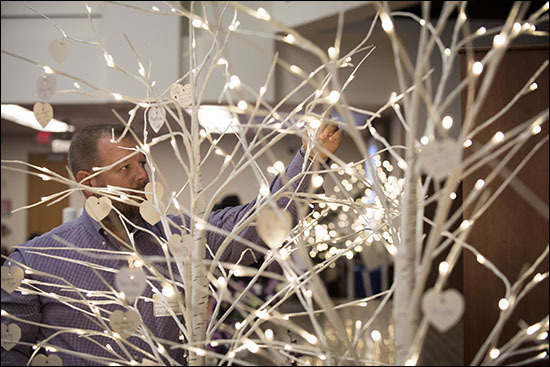 The event was broadcast live from Texas Children’s in the third floor common area of the Pavilion For Women. 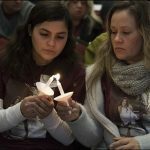 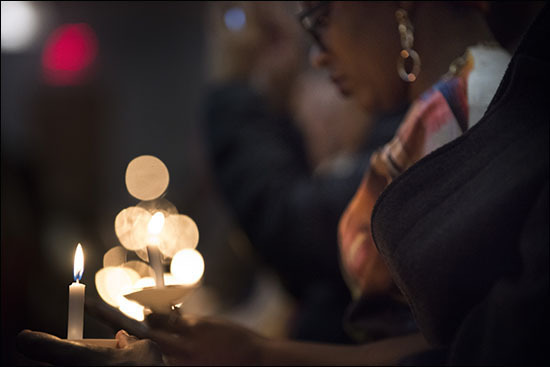 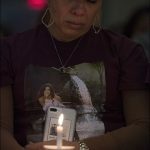 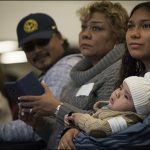 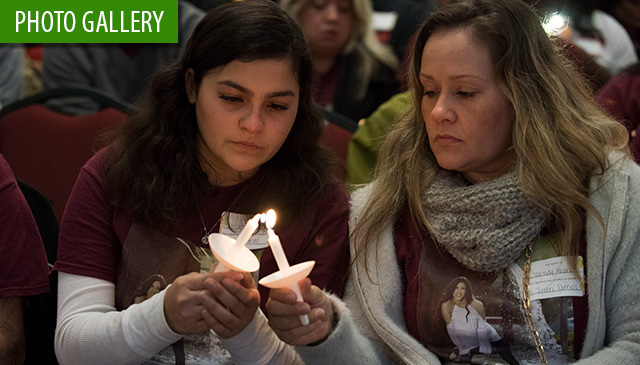 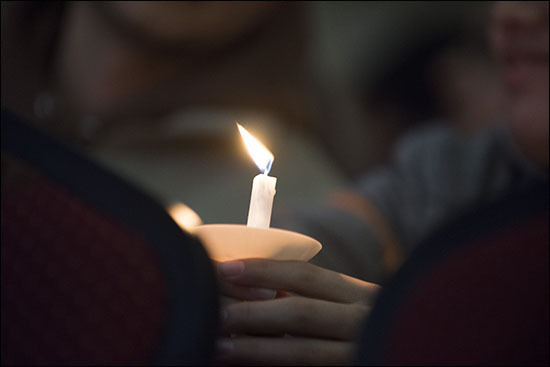 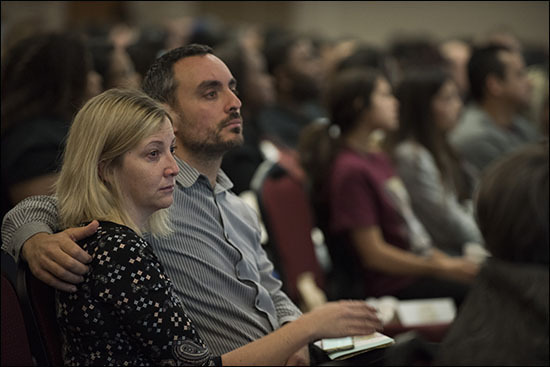 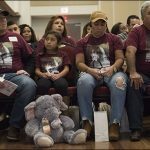 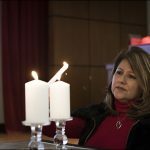 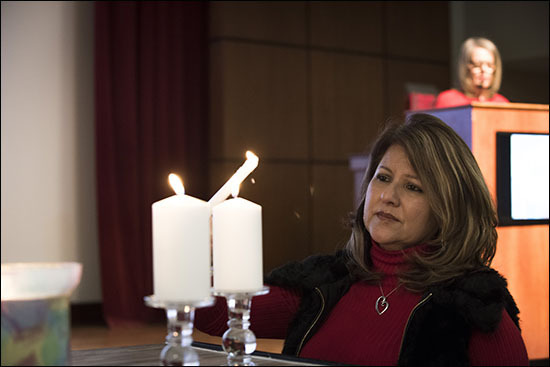 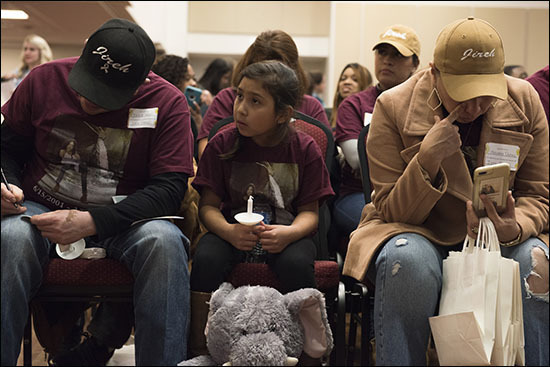 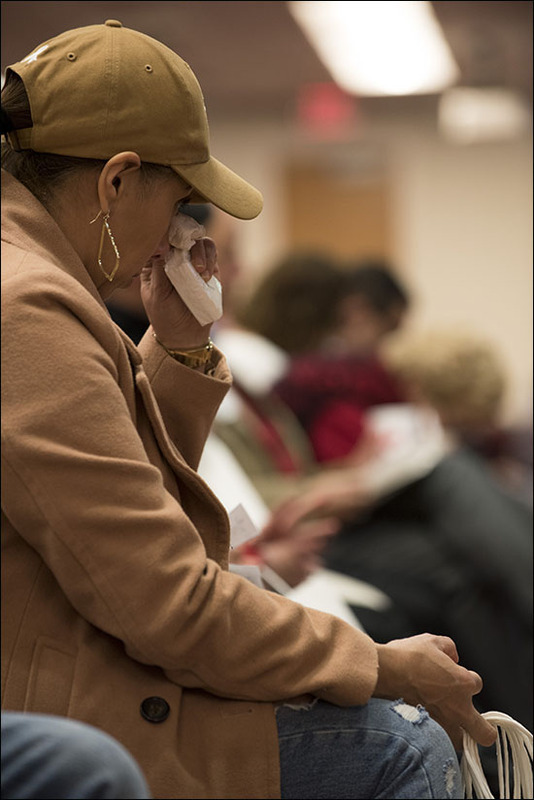 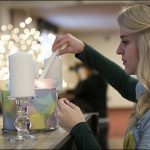 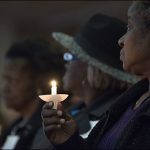 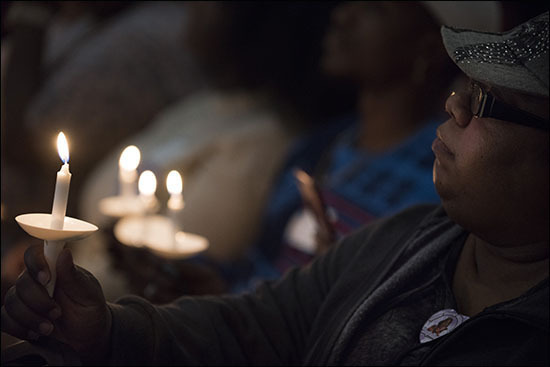 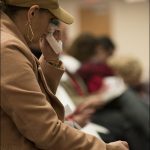 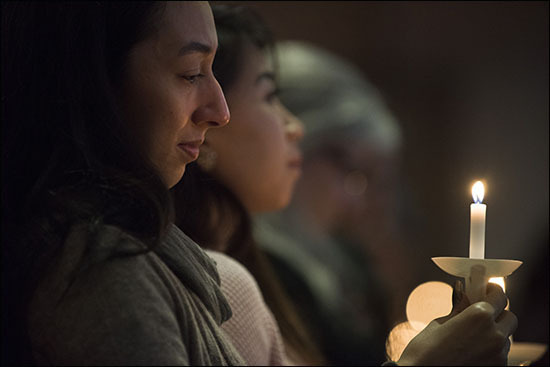 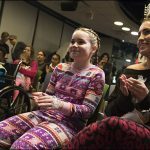 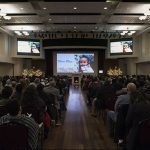 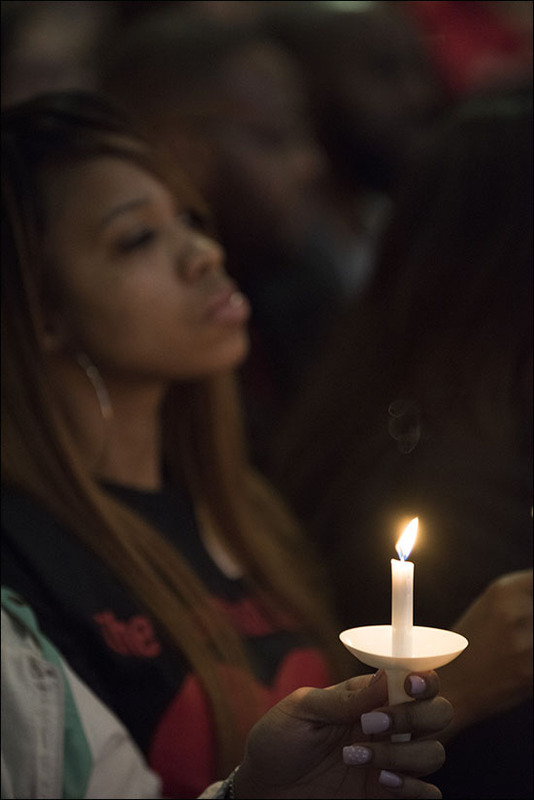 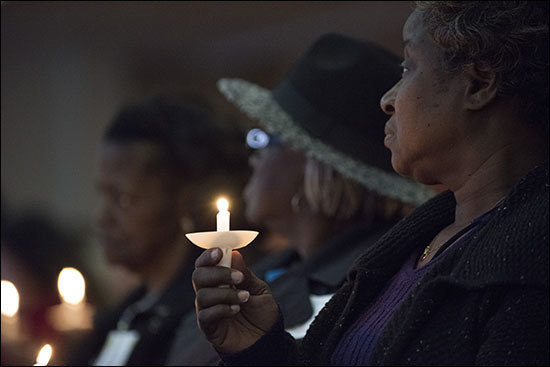 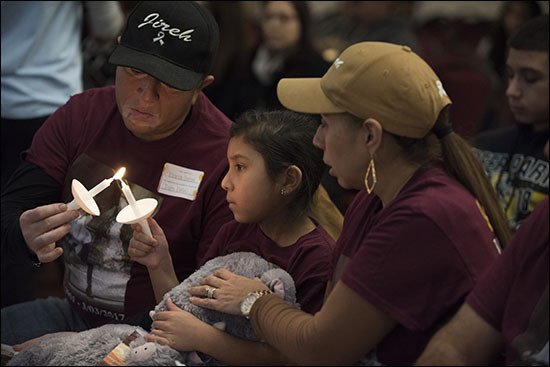 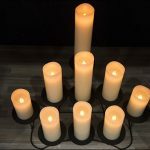 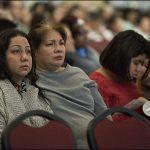 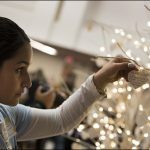 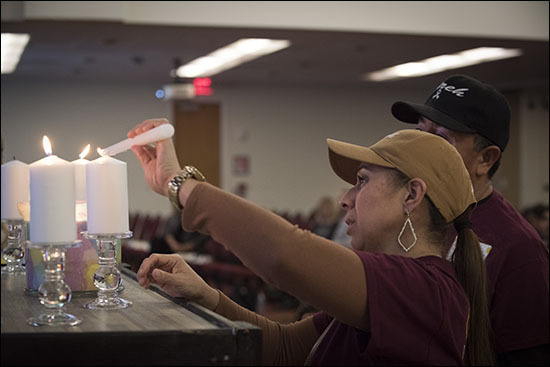 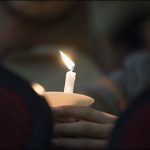 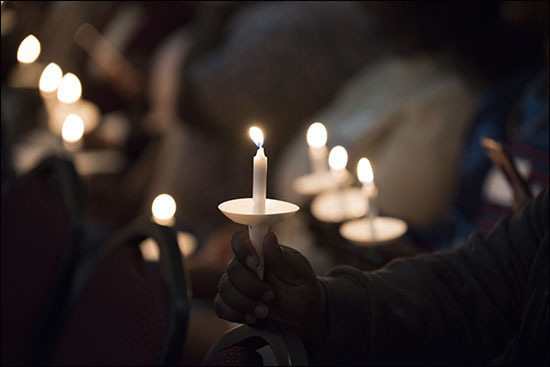 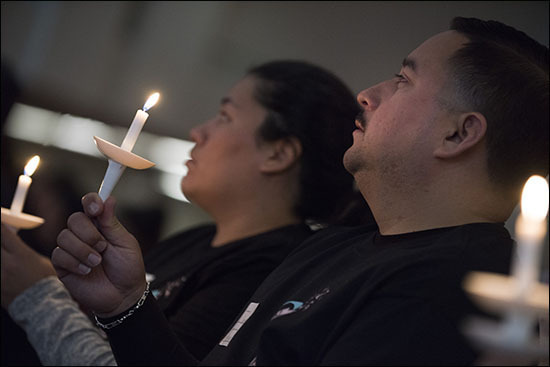 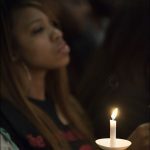 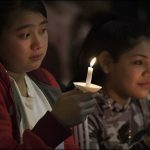 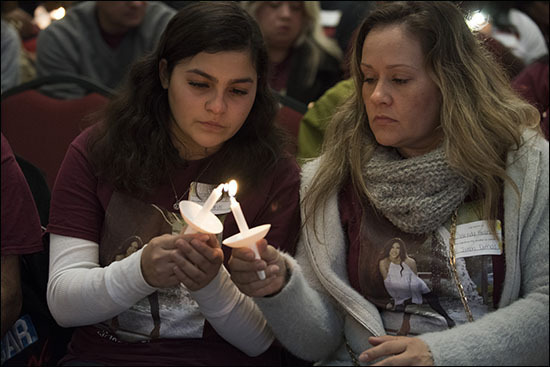 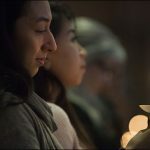 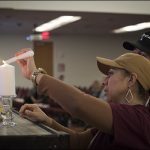 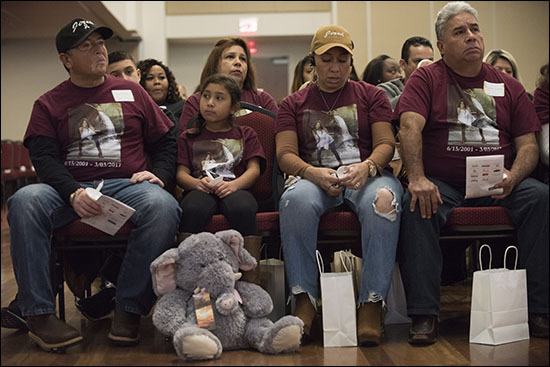 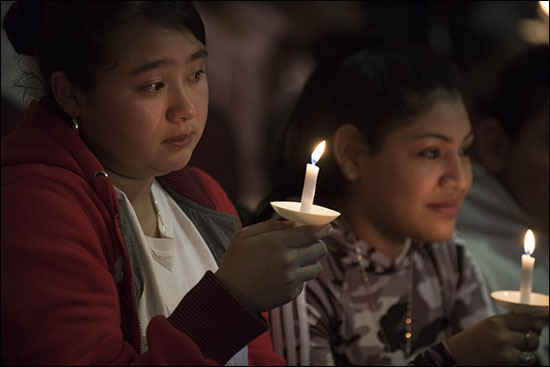 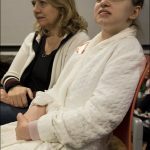 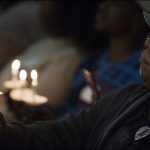 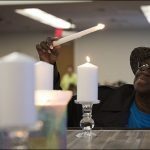 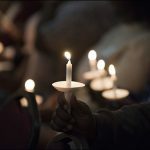 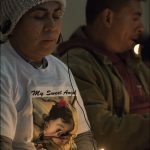 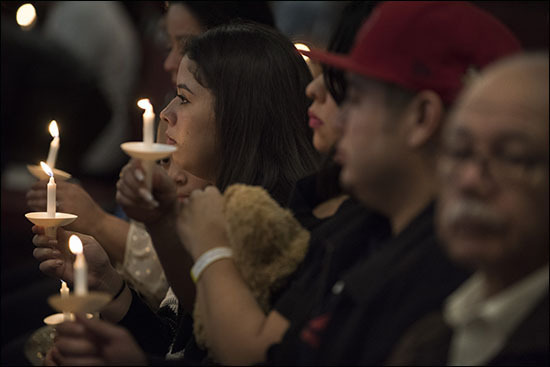 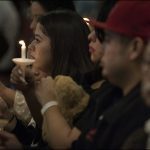 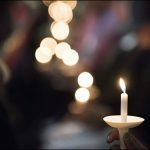 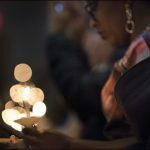 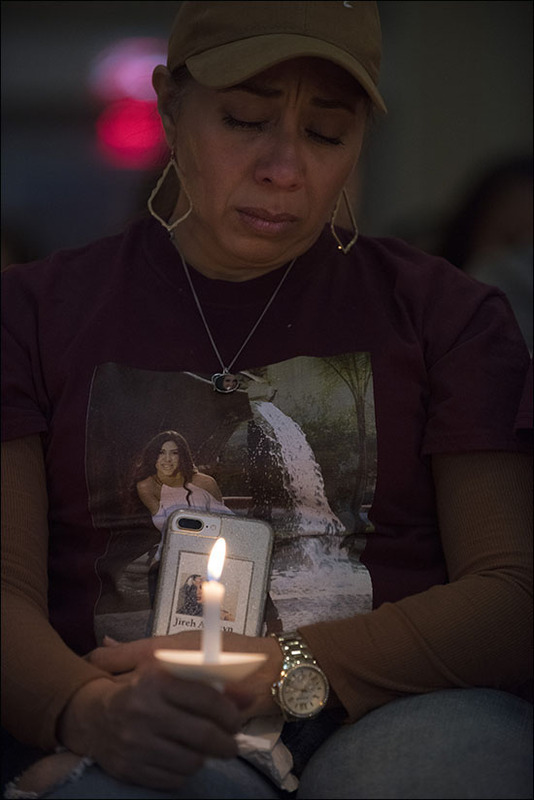 Standing in a packed auditorium at the University of Houston’s Student Center South on the evening of December 9, Natalie Martinez gripped a white candle and whispered Angelina when the person seated next to her lit her wick. 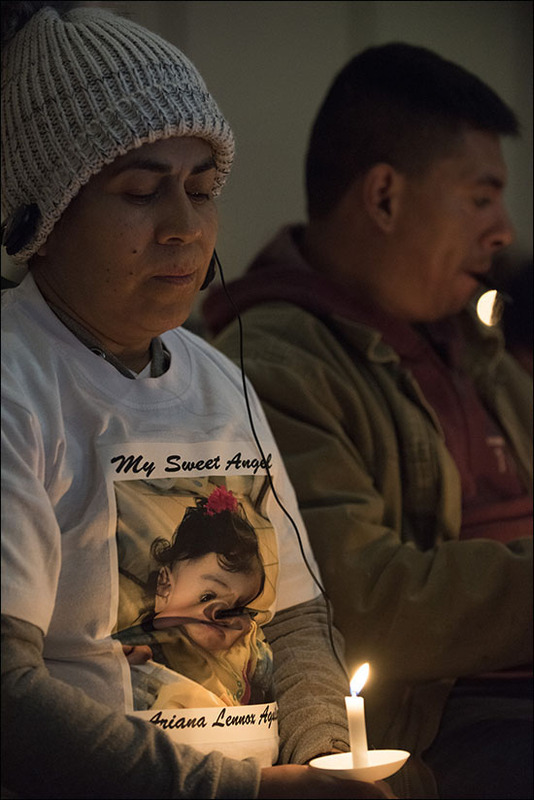 Angelina is Natalie’s 11-month-old daughter who died five years ago of an undiagnosed medical condition. 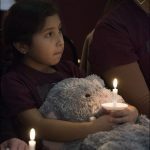 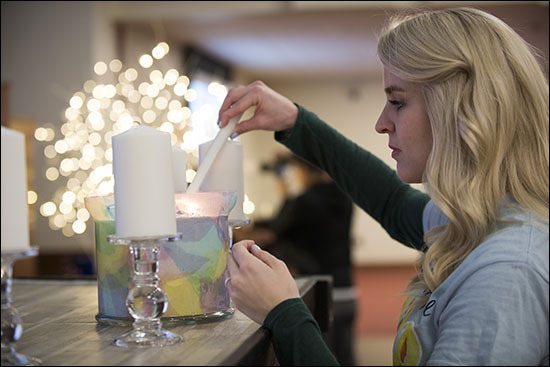 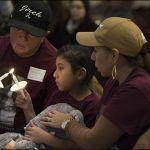 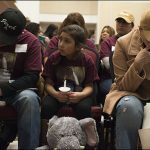 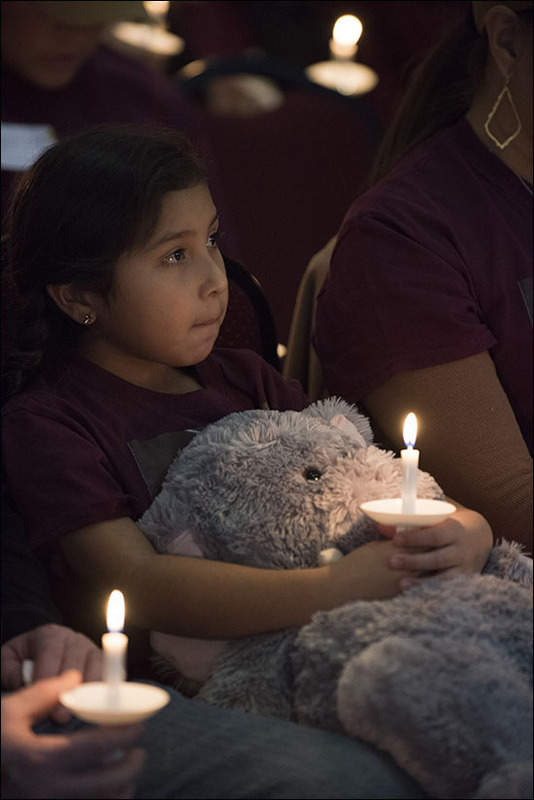 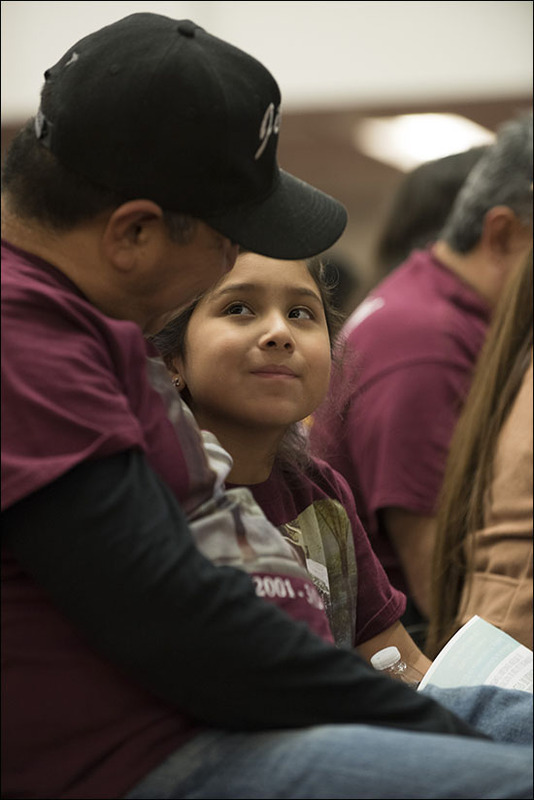 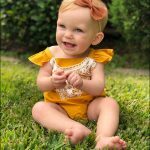 Natalie was one of about 700 people who attended Texas Children’s First Annual Candle Lighting Ceremony to remember, honor, mourn and celebrate the lives of children taken from this world too soon. 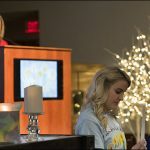 Hosted by Texas Children’s Palliative Care Team (PACT), the first annual Candle Lighting Ceremony was held in conjunction with the Compassionate Friends Worldwide Candle Lighting Day, which unites family and friends around the globe in lighting candles for one hour at 7 p.m. on December 9 in memory of children who have passed away. 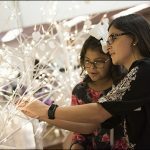 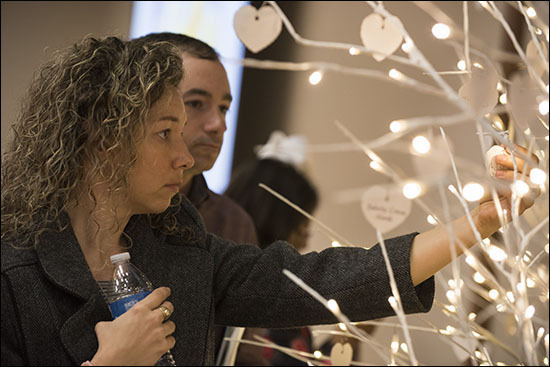 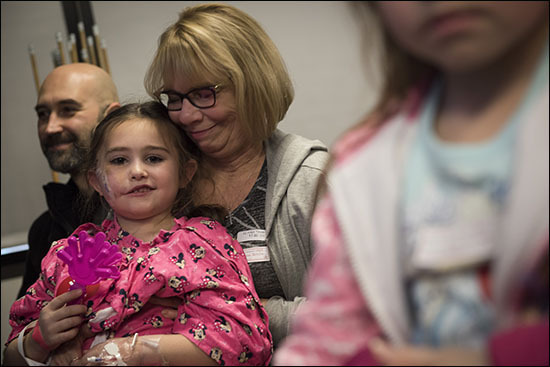 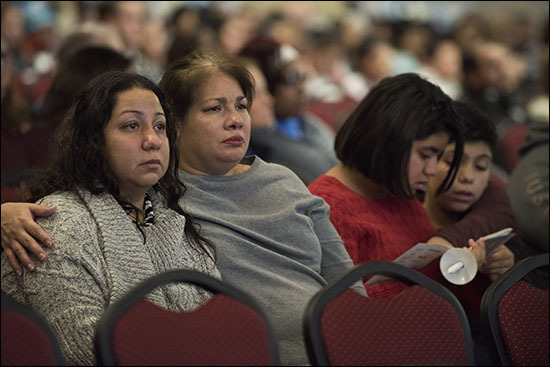 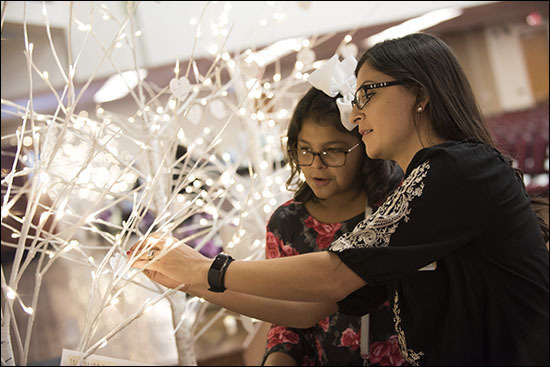 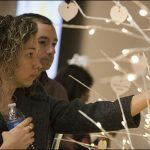 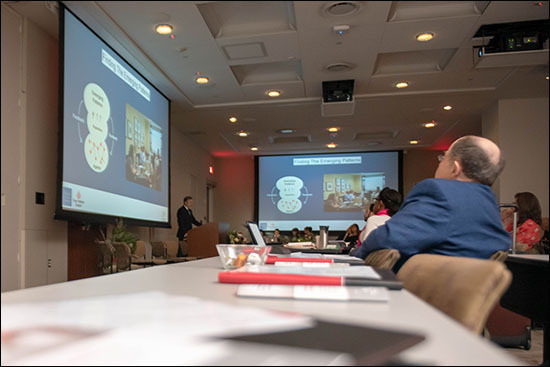 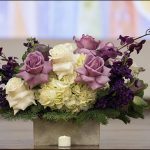 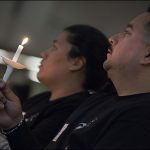 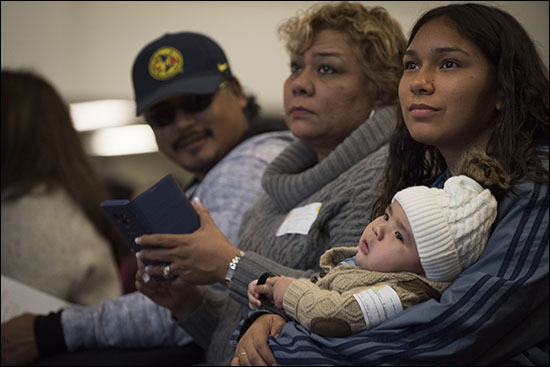 All families whose children died and were patients at Texas Children’s Hospital were invited to attend the ceremony, which included free parking, refreshments, childcare and access to grief resources. 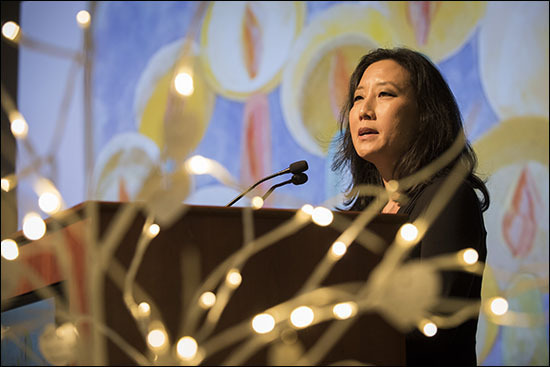 Dr. Tammy Kang, section chief of Palliative Care at Texas Children’s, and Jackie Ward, associate chief nursing officer, kicked off the ceremony with words of encouragement and hope. 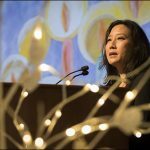 Kang agreed and said she hoped the ceremony would provide a healthy outlet of remembrance for families grieving the loss of their child, and to begin to heal from the pain and sadness they are going through. 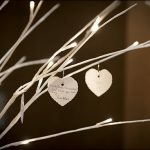 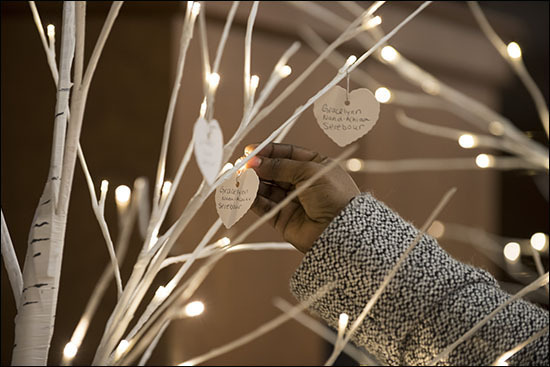 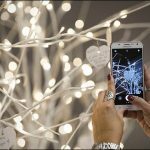 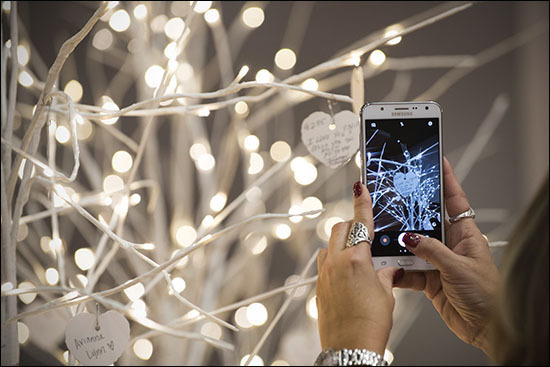 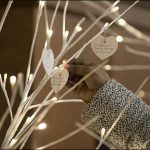 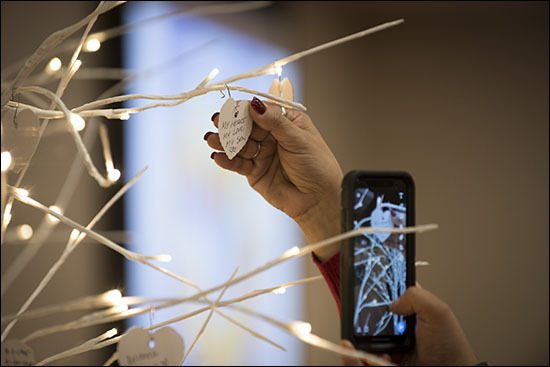 A slide show of those lost brought many people to tears, giving faces and names to those who have died, as did a display of paper hearts hung on trees at the front of the auditorium. 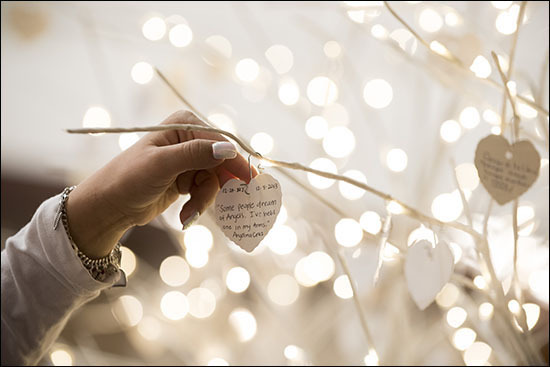 Attendees were given the option to write a message to their child on the hearts. 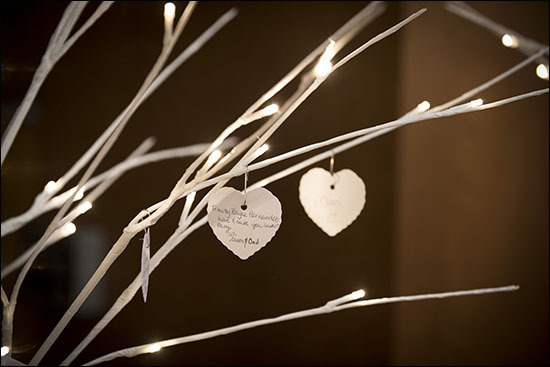 Natalie’s heart read: Some people dream of angels. 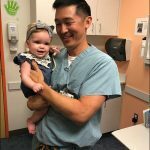 I’ve held one in my arms. 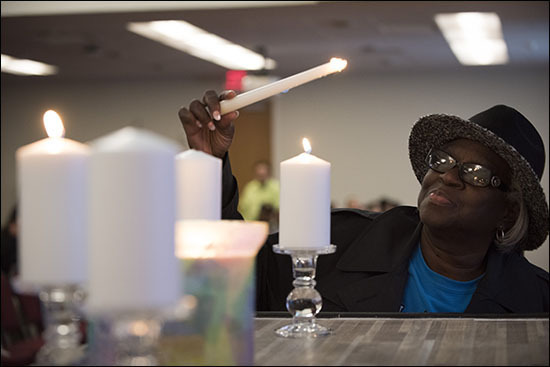 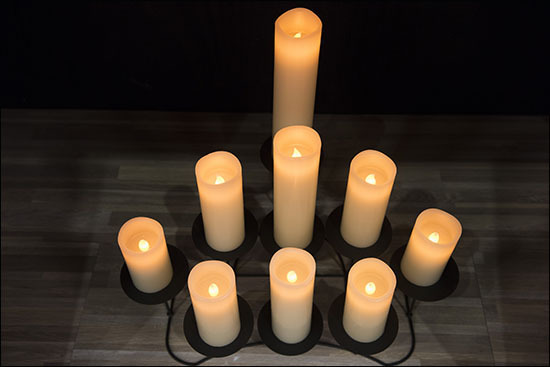 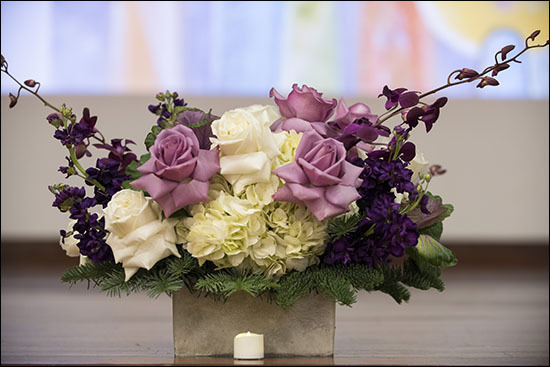 During the ceremony, five candles were lit at the front of the room – one for grief, another for courage and the rest for memories, love and hope. 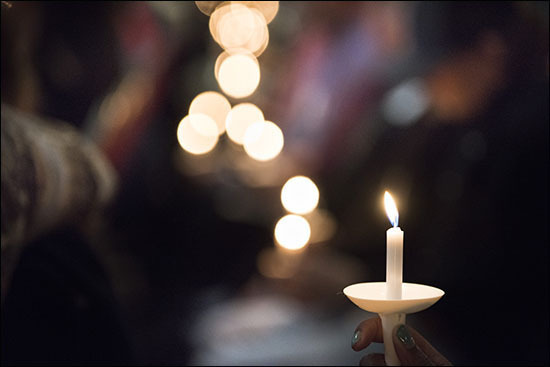 Then, the candles of everyone in the audience were lit as music therapists Alix Brickley and Abi Carlton sang This Little Light of Mine. 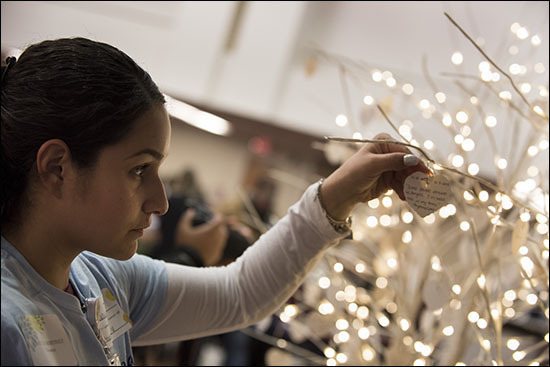 Melissa Lopez, a nurse in the Cancer Center, was both a volunteer and an event participant as her 16-year-old daughter, Natalia, passed away nine years ago after fighting her battle against cancer. 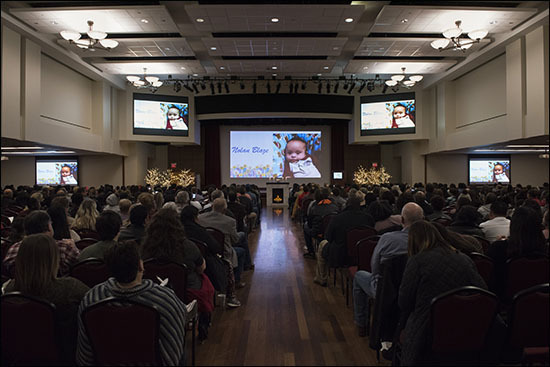 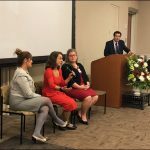 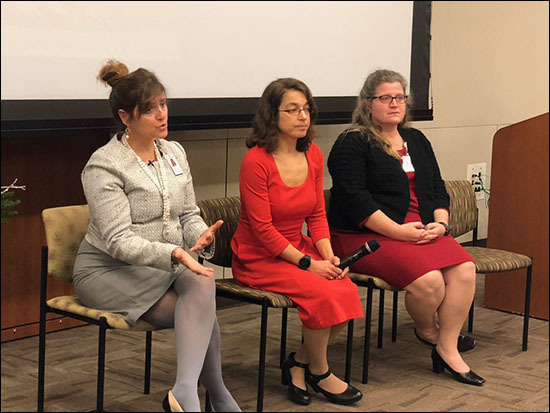 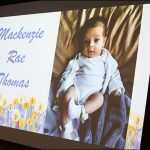 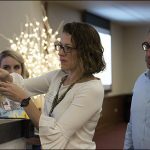 Taryn Schuelke, the grief and bereavement specialist with the Palliative Care team and ceremony chair, said she is pleased so many people attended the first of what will be an annual ceremony for those tied to Texas Children’s who have lost a child. 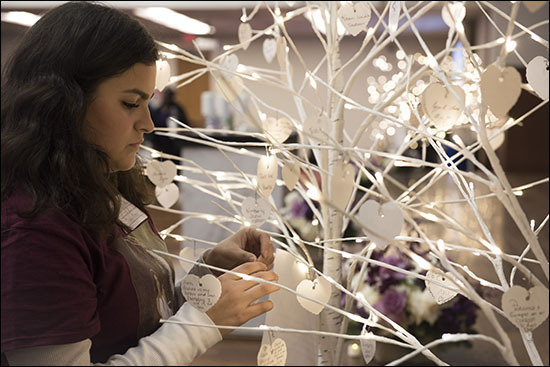 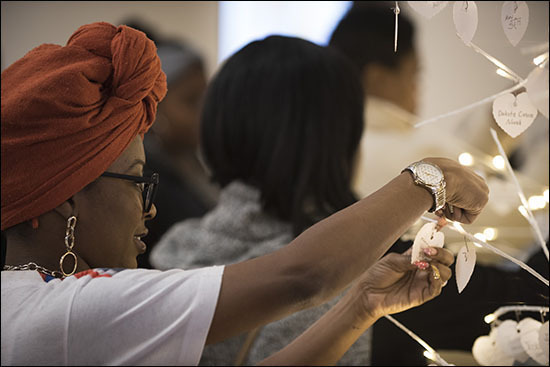 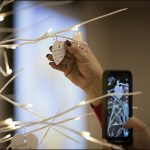 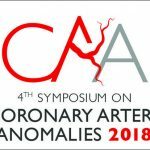 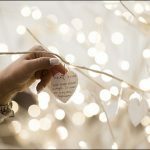 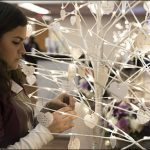 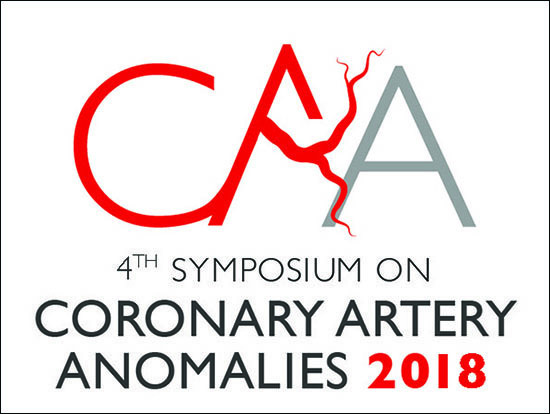 Texas Children’s Art Therapist Ashley Wood created the art used on all ceremony branding and will turn the paper hearts into a display for next year’s ceremony. 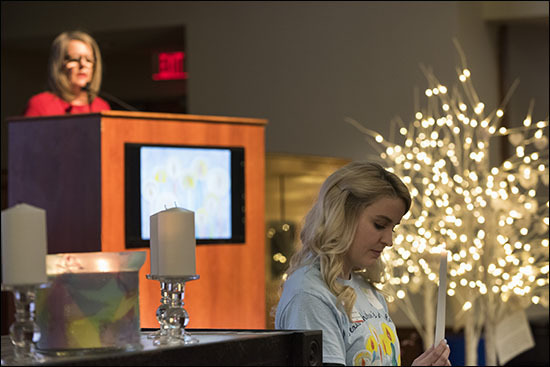 The Palliative Care Team’s Senior Administrative Assistant Lindsey Gurganious built the ceremony mantle and poured the large ceremony candle. 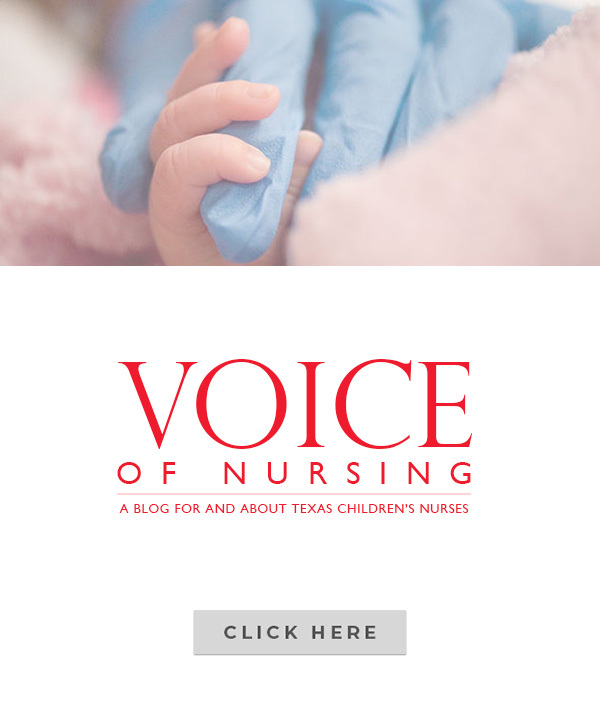 The Pediatric Advanced Care Team (PACT) is an interdisciplinary team comprised of attending physicians, physicians in training, advanced practice nurses, a nurse, chaplain, social worker, grief and bereavement specialist, research coordinator and administrators who work together to provide excellent palliative care to patients and their families across the Texas Children’s Institution. 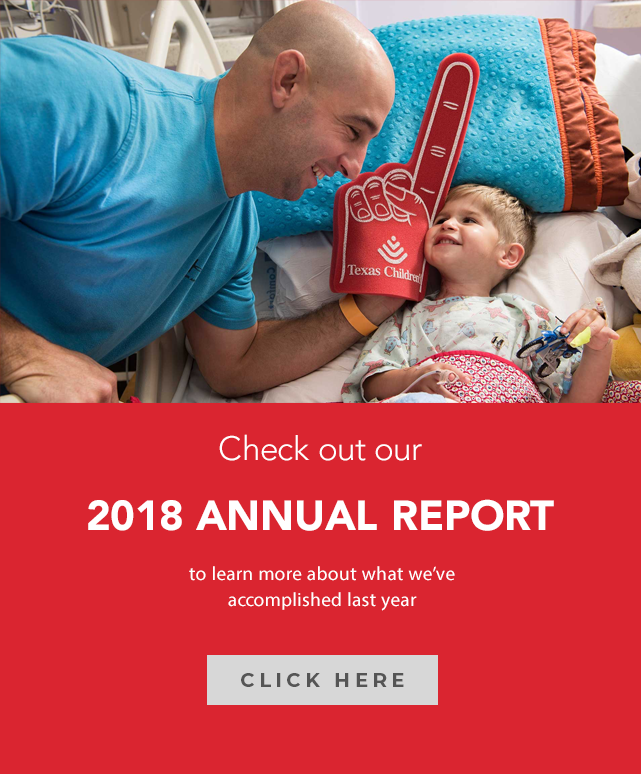 The team is available 24 hours a day, 365 days a year to provide care in either the inpatient or outpatient setting in partnership with other health care providers. 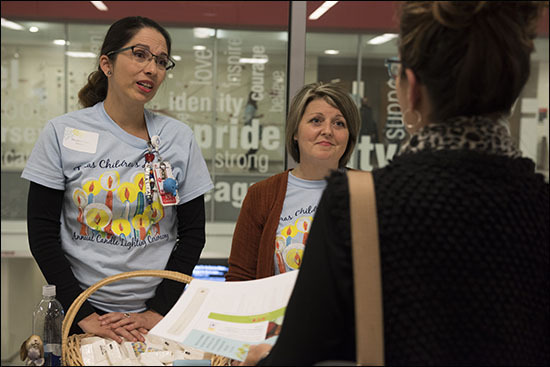 The team also supports staff. 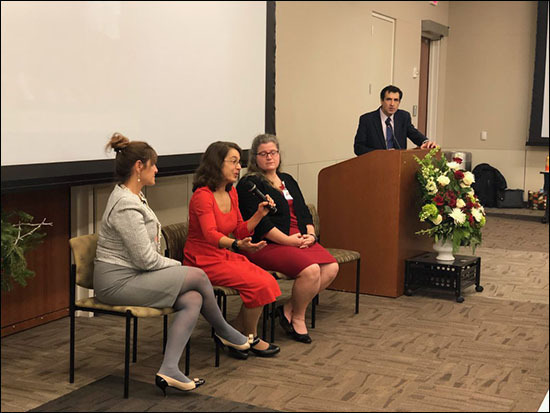 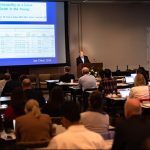 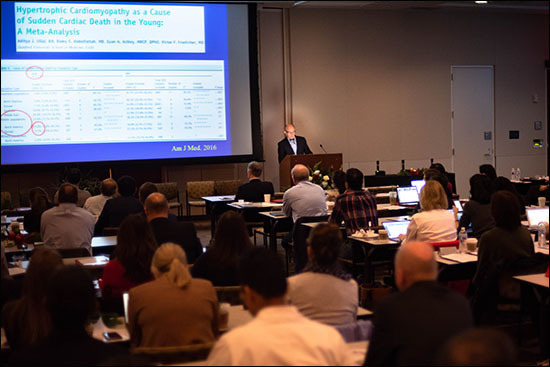 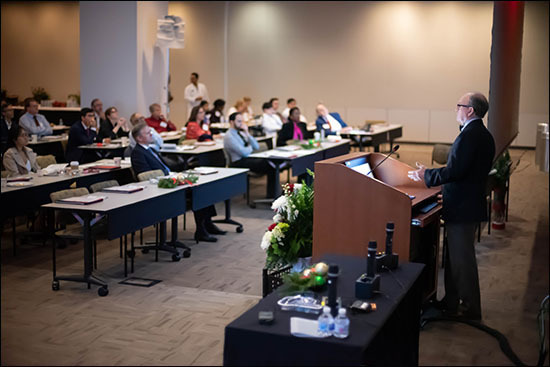 Just last year, the program earned The Joint Commission’s Gold Seal of Approval for Palliative Care Certification, making Texas Children’s Palliative Care Program the first of its kind in Houston and one of only 90 across the United States to receive such a distinction. 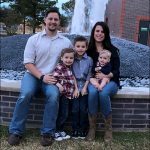 To learn more about the team, click here. 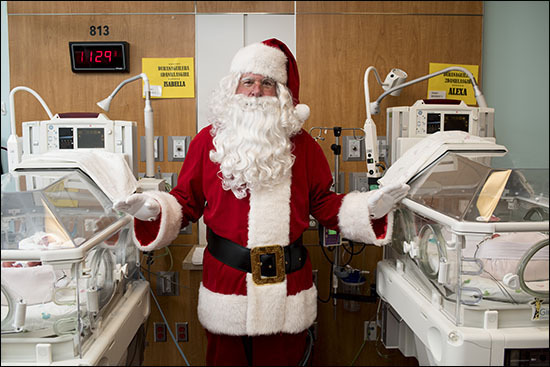 Santa Claus made his way to Texas Children’s Newborn Center last week to spread some holiday cheer – but he wasn’t the only one dressed up in red. 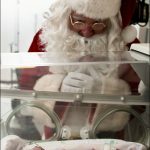 Babies in the NICU at Texas Children’s Hospital Pavilion for Women and West Tower were dressed in their own tiny Santa hats and booties. 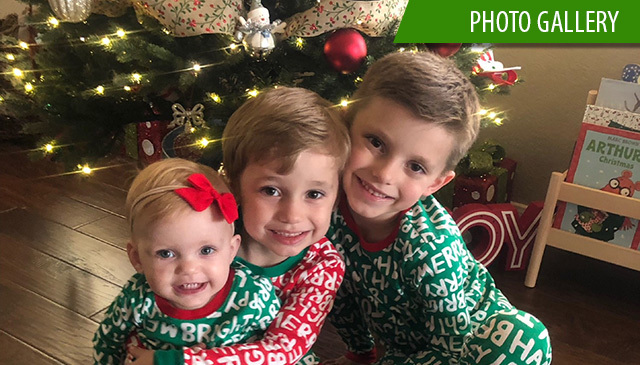 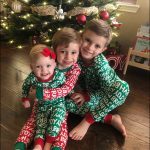 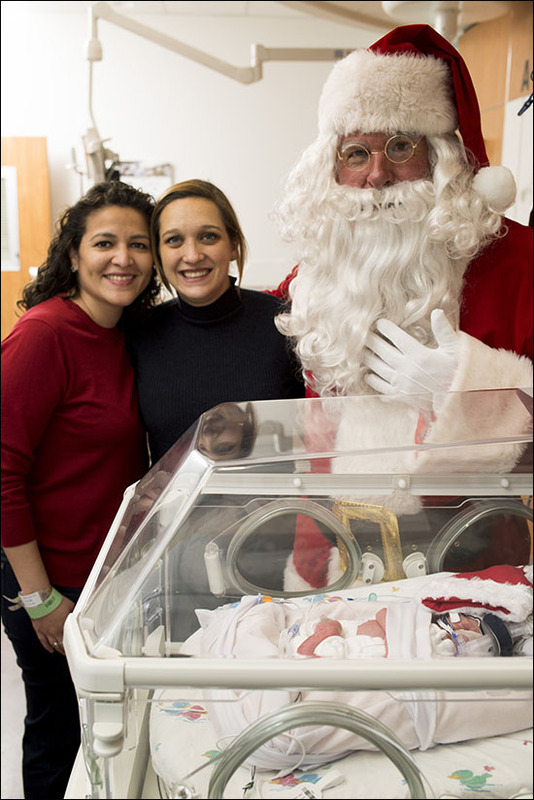 Vincent Michael Garza, born on December 6, was dressed in a green and white striped holiday-themed onsie when Santa walked in bellowing a spirited Ho, Ho, Ho! 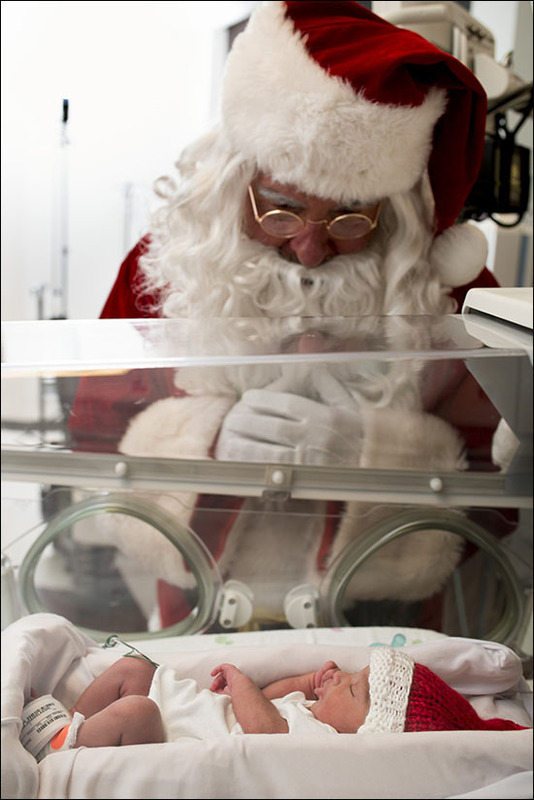 The days old infant gave Santa a quick newborn smile and then went peacefully back to sleep. 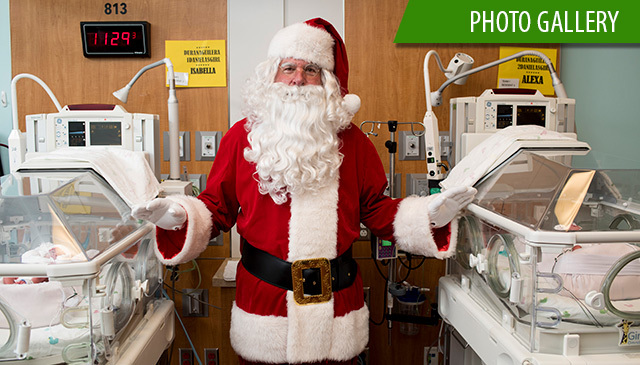 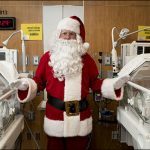 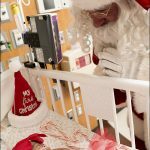 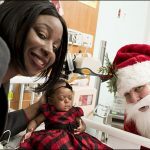 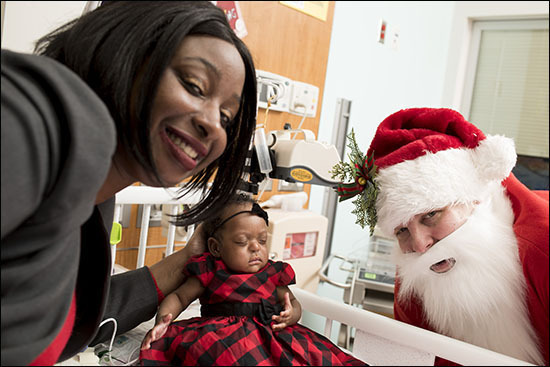 Click here to watch a video of Santa visiting babies in the NICU at Texas Children’s Hospital Pavilion for Women. 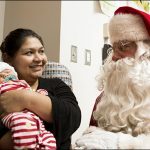 Vincent’s mother, Norma Garza, said Santa’s visit meant so much to her, giving her a sense of joy, relief and normalcy during what was a longer stay at the hospital than expected. 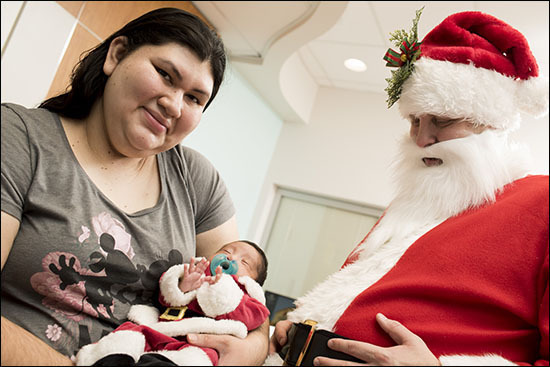 Vincent and Norma got an equally as good surprise later that day – clearance from Vincent’s doctor to go home! 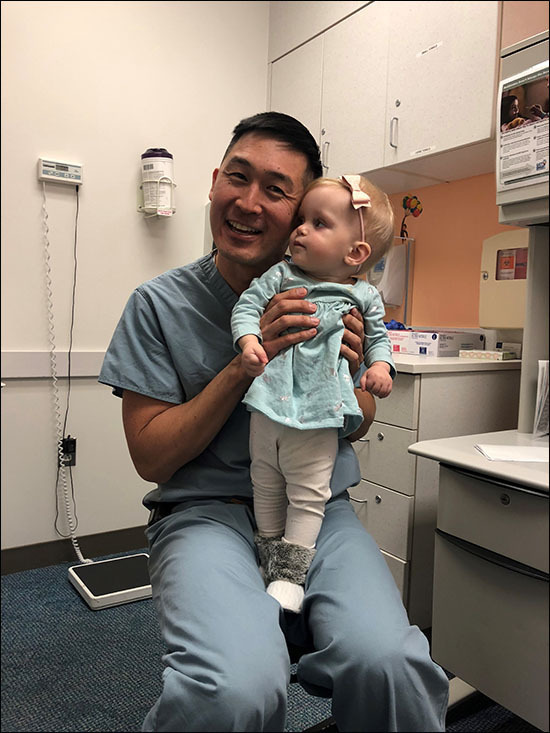 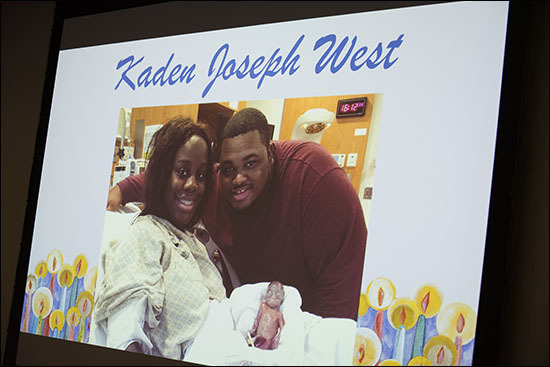 The infant was discharged on December 12, just in time to spend the holidays at home with his family. 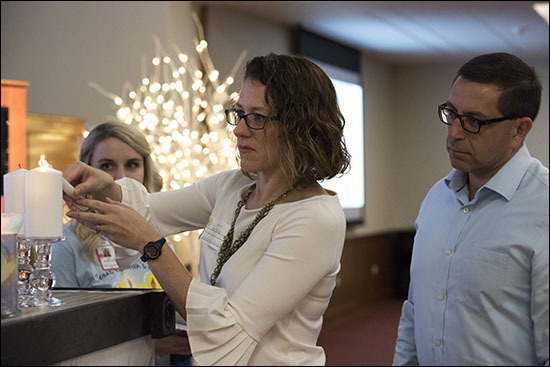 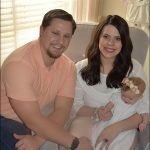 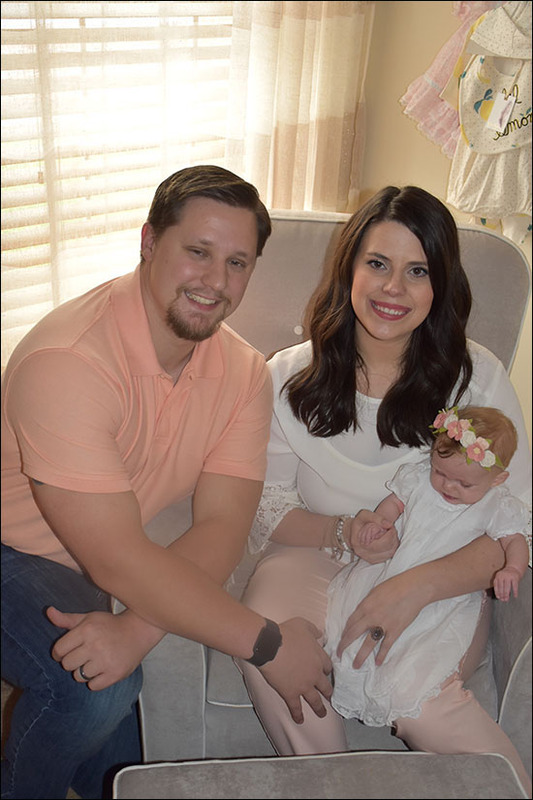 Stephanie Jones, a Texas Children’s employee, delivered her son, Levi, on October 8. 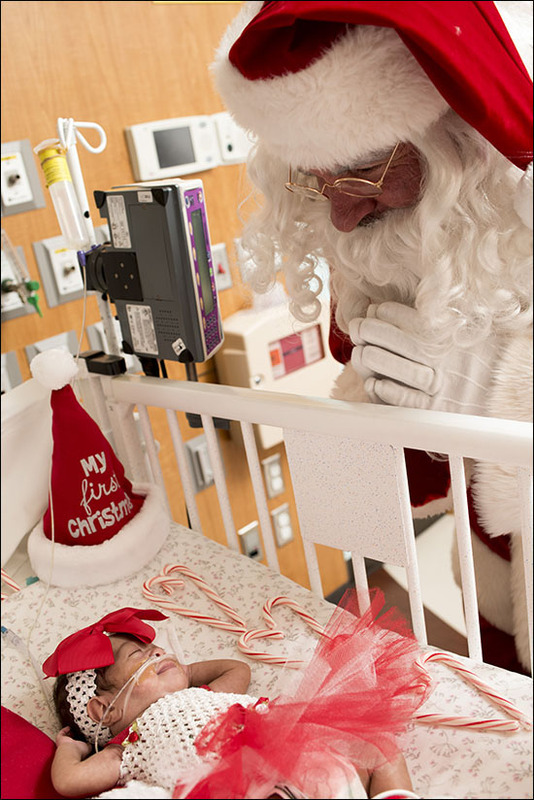 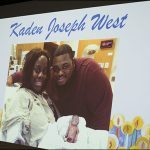 He has been in the NICU at the Pavilion for Women ever since and might not be discharged by the end of the month. 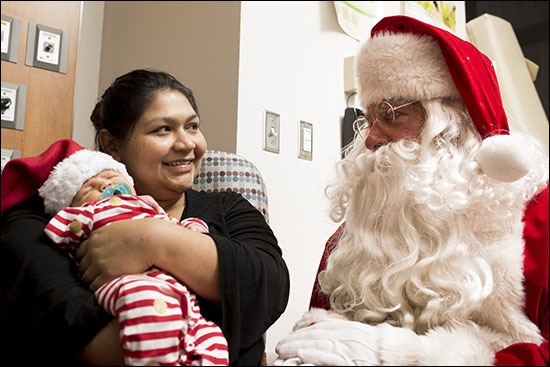 So, having Santa personally visit the infant was super special. 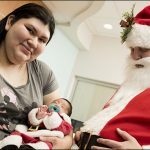 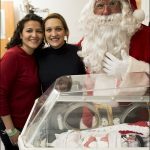 The visit from Santa was hosted by the hospital’s Newborn Center Family Advisory Committee and First Memories Texas, a volunteer group that helps families with babies in the NICU and CVICU at Texas Children’s to make memories and tell their children’s stories through photography. 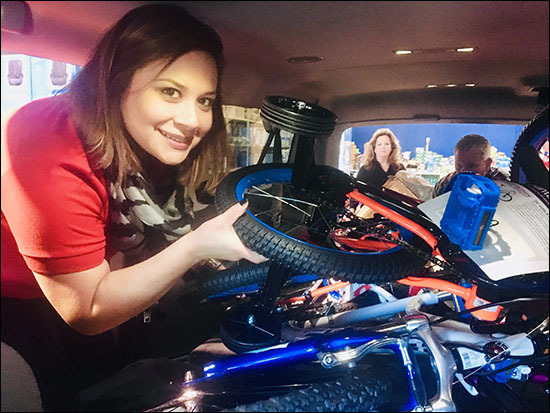 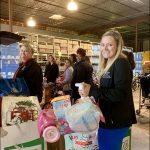 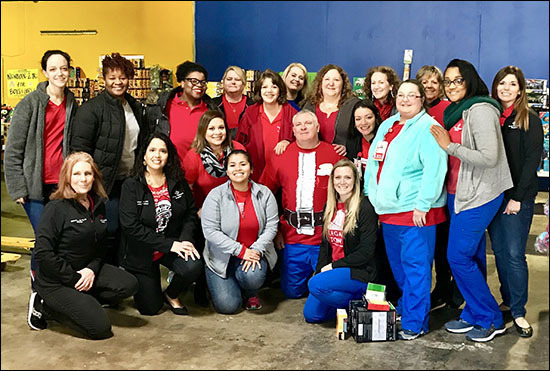 On December 10, Texas Children’s Nursing Retention Council pitched in to give back to the community by volunteering at the “Be a Resource for CPS Kids (BEAR) annual toy drive. 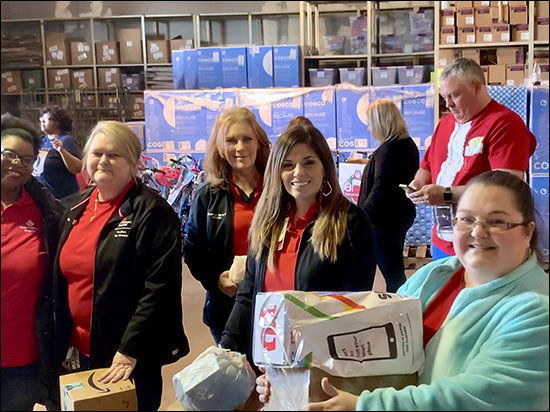 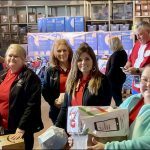 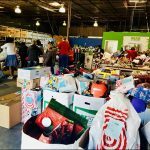 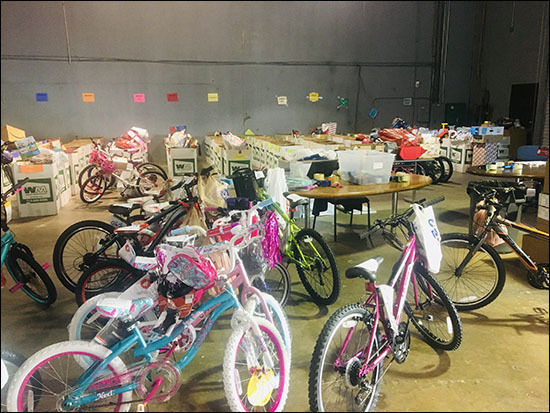 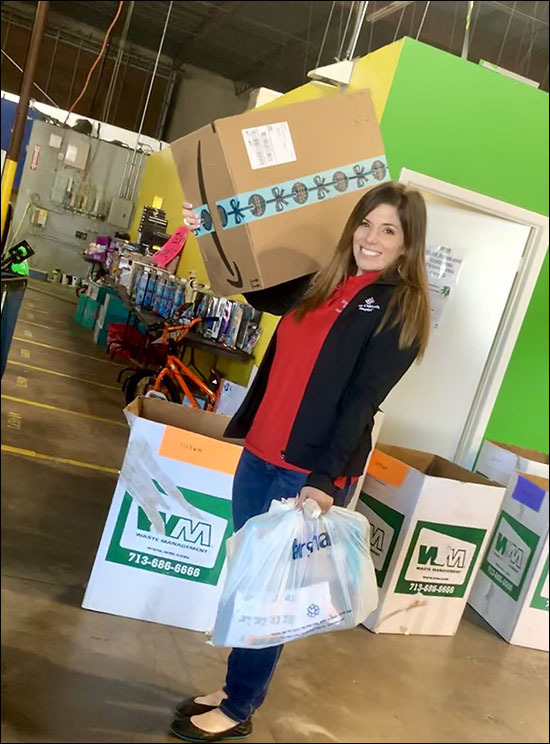 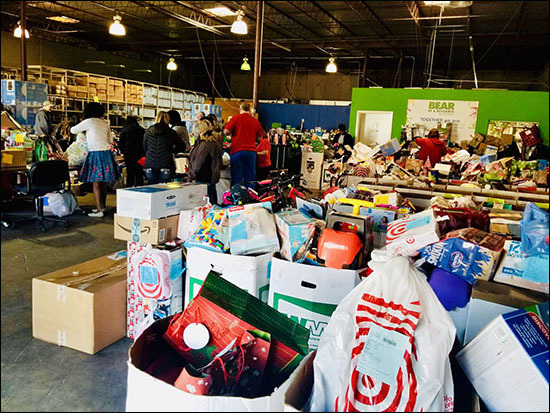 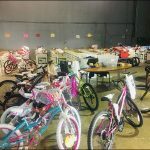 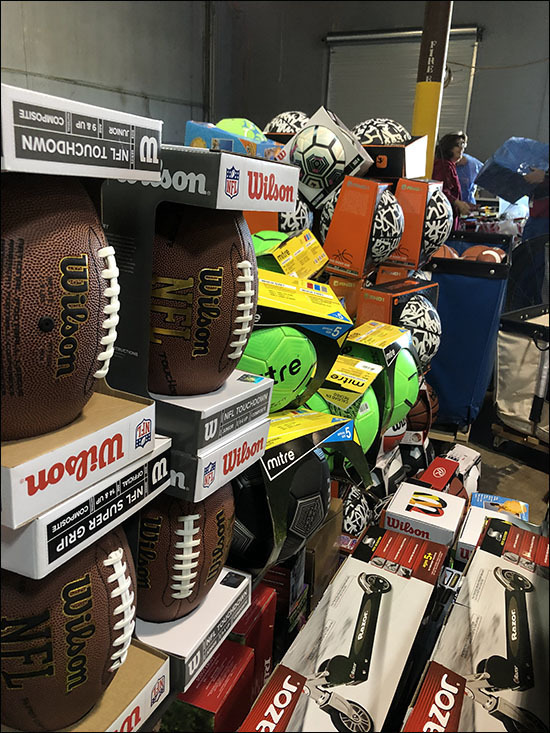 Team members spent several hours sorting and preparing Christmas gifts for distribution to the 9,925 children in the Houston area who are in the Child Protective Services (CPS) system. 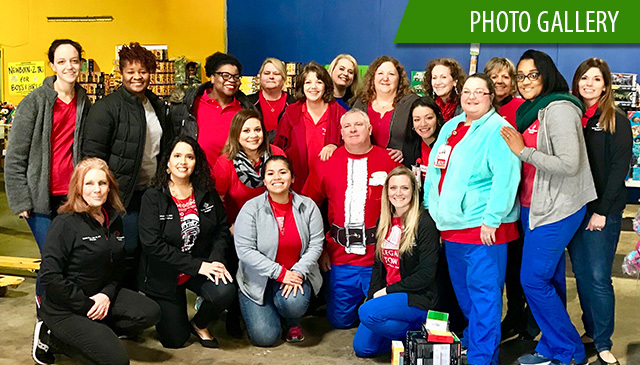 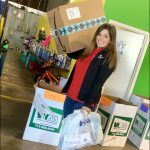 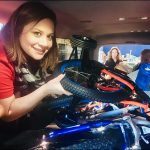 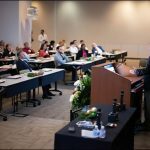 Like many Texas Children’s employees who have dedicated their time to volunteer service, identifying opportunities to make a positive impact in the community is a win-win situation. 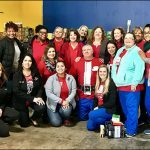 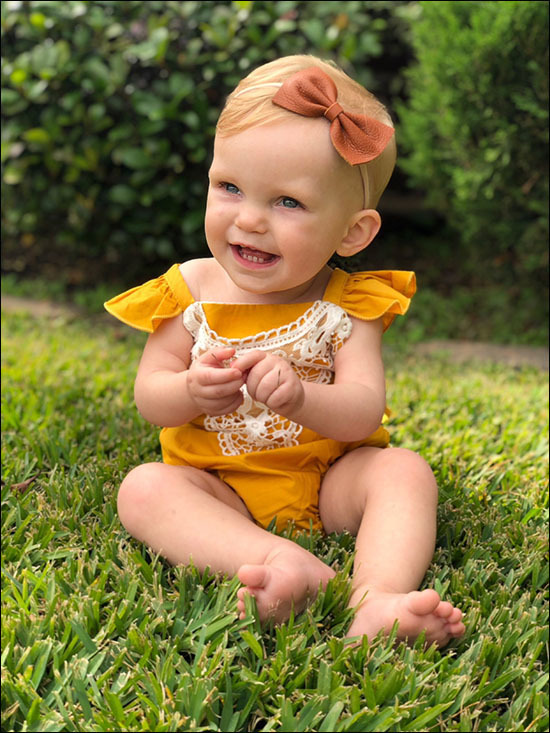 Accustomed to caring for others, supporting BEAR provided an opportunity for our nurses to extend their reach and care for thousands of foster children across Greater Houston. 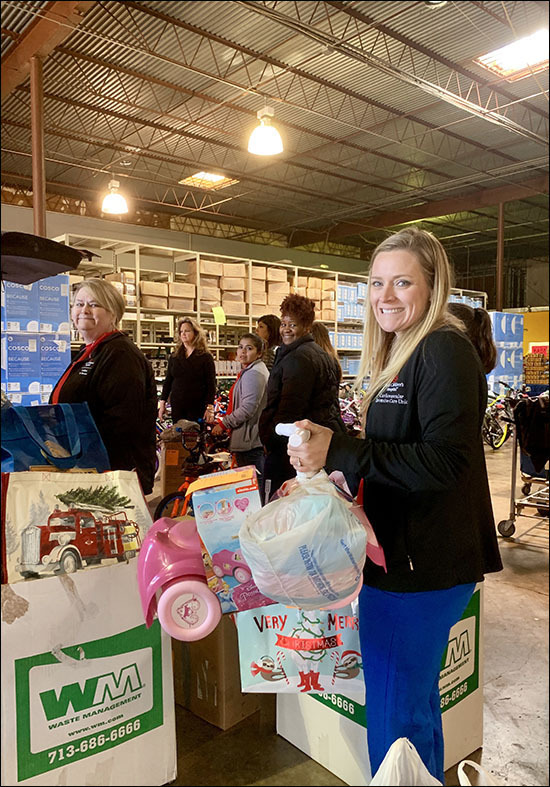 Besides their annual holiday toy drive, BEAR provides emergency supplies – like diapers, clothing, shoes, car seats, cribs and school supplies – to Harris County children in the care of CPS. 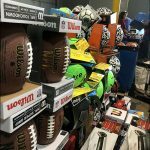 The program also provides items needed for youth who are transitioning out of CPS care. 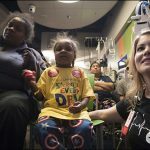 Music is not only food for the soul, but also medicine for the body when it comes to health institutions like Texas Children’s. 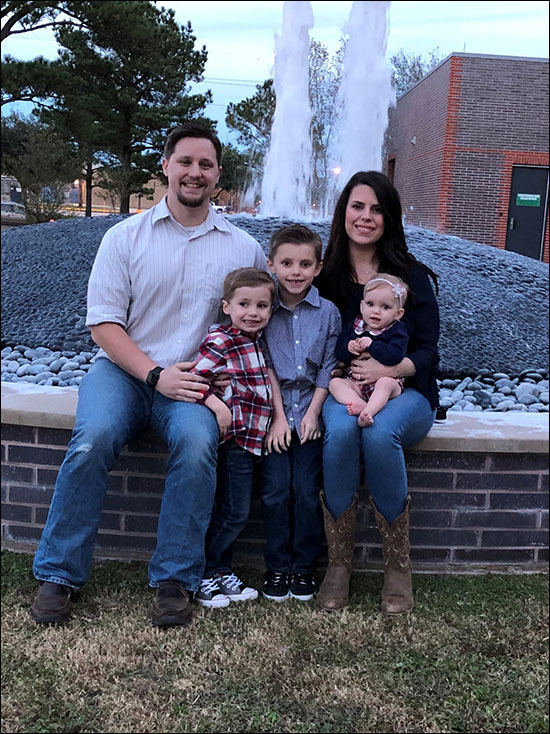 George Robinson, the grandson of Lillie and Jim Abercrombie, has partnered with Michael Clay, Executive Director and Co-Founder of Texas Music Project, to donate a $75,000 gift from the George A. Robinson IV Foundation. 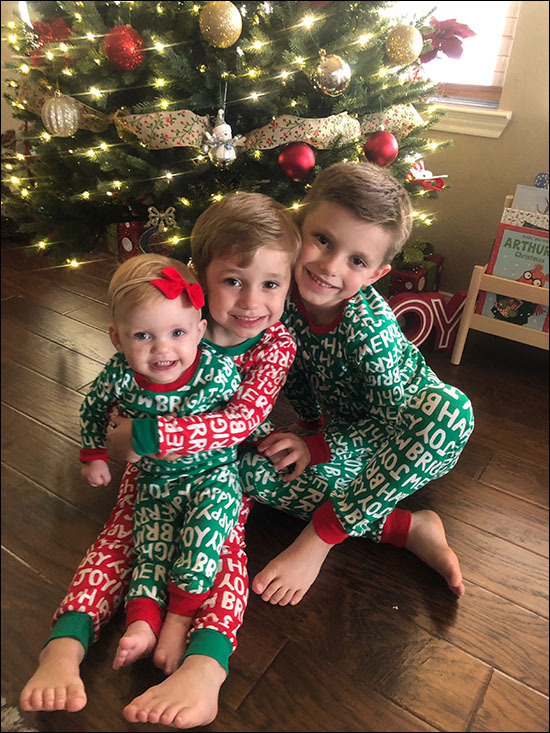 It all started when Clay realized his family ties with the Abercrombies. 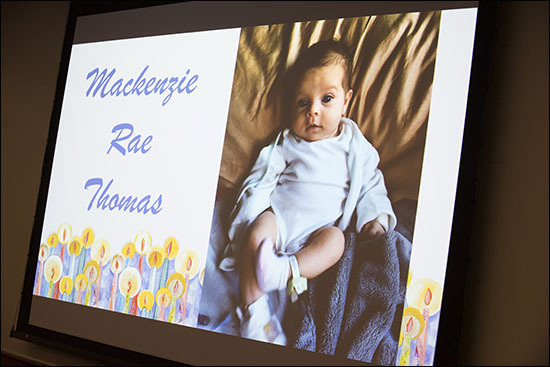 They were Texas Children’s first major benefactors, whose kindness and foresight helped create our nationally recognized hospital. 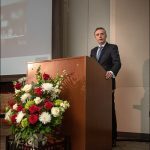 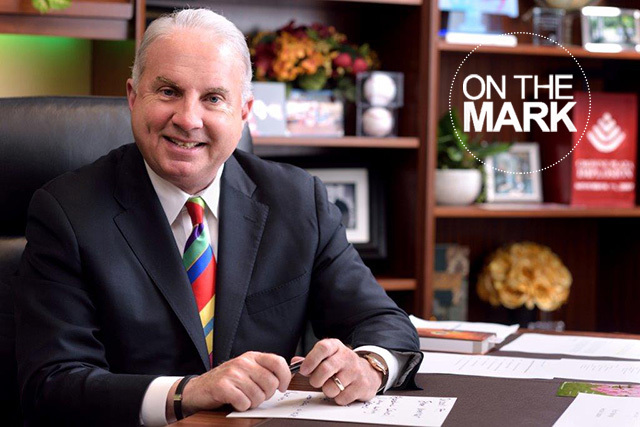 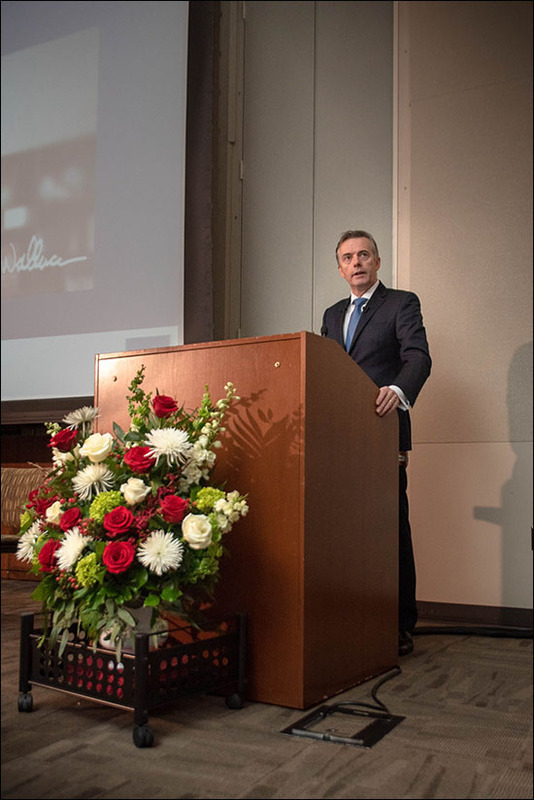 With this in mind, he knew that reaching out to his family, whose history runs deep in the organization, would lead to a great partnership with his company. 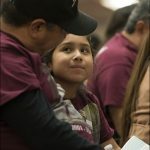 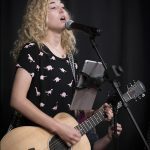 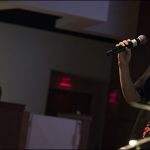 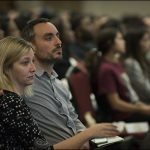 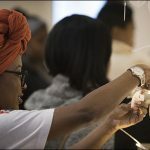 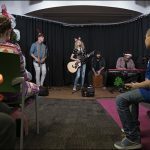 Texas Music Project is a program for students, schools, and communities, which partners with musicians to help guide students down their own unique musical paths. 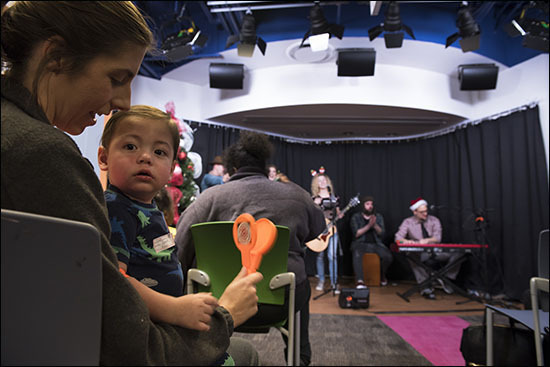 The money donated goes to the Child Life department’s music therapy program, to upgrade media technology. 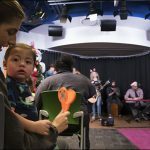 Music Therapy, Child Life Media Producer, Bio Med, IT and the Facilities Planning teams have all been working with the Texas Music Project for the past year to bring George’s vision to fruition. 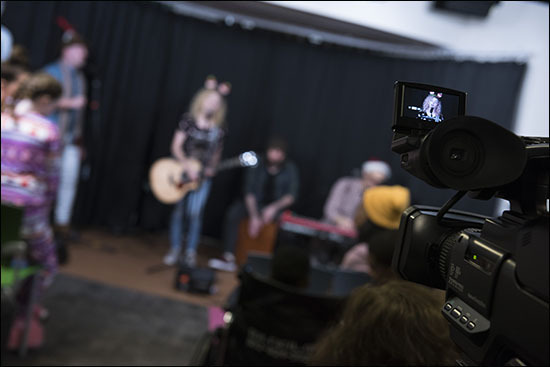 The upgrade includes new audio systems, lighting systems for the broadcast, and most importantly, portable capabilities. 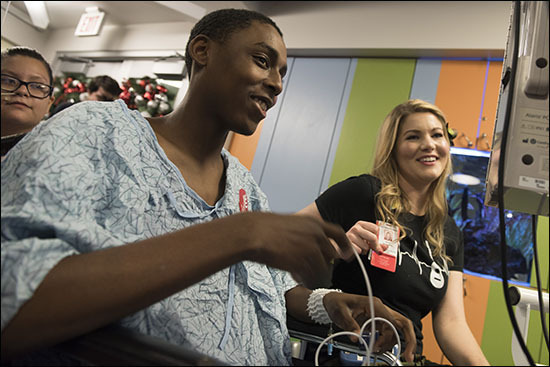 The idea was to upgrade the audio system in a way that could be taken anywhere in the hospital. 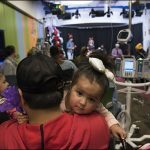 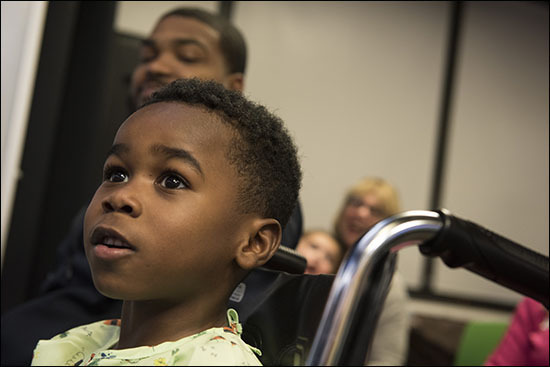 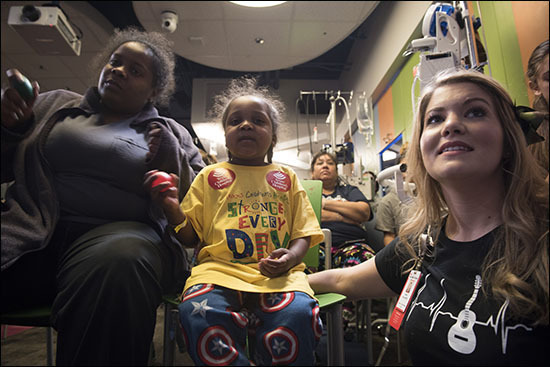 Along with the main system located in the Zone, the Child Life entertainment center for patients, there is a mobile studio that allows for an efficient assembly process so that video can be streamed lived from room-to-room, if necessary. 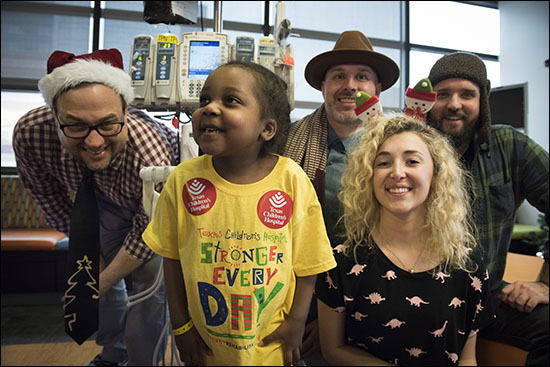 The last portion of this partnership consists of producing a regular concert for patients called Rockin’ Robinson. 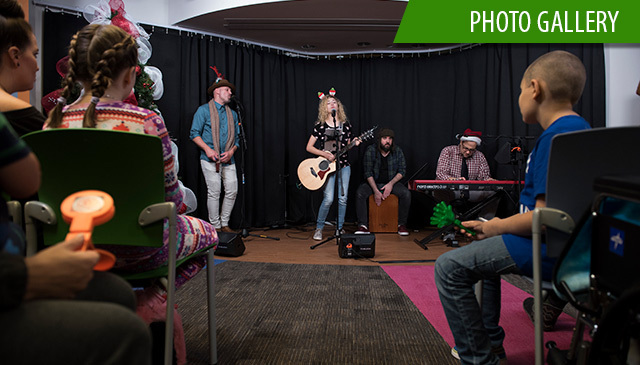 This will include different musicians performing live for patients, to entertain them and lift their spirits. 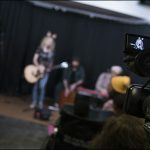 With the portable technology upgrade, these shows can be produced regularly and live streamed on ZTV, an internal television channel, for patients who are not able to leave their room. 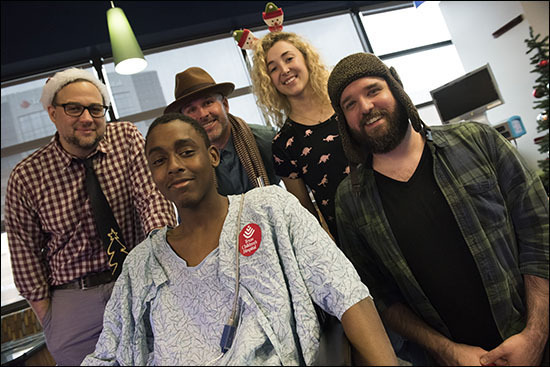 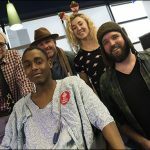 On December 12, Robinson and his daughter Blair Robinson, along with Clay and the Texas Music Project team came to the hospital to shoot the pilot of Rockin’ Robinson. 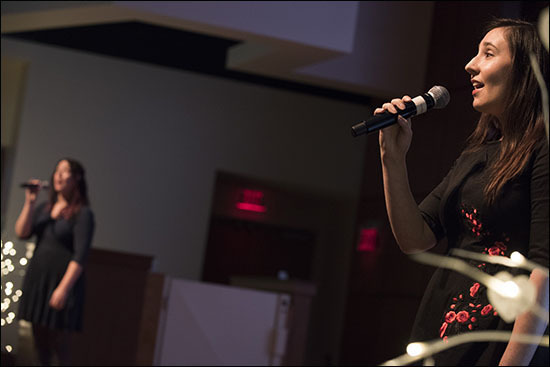 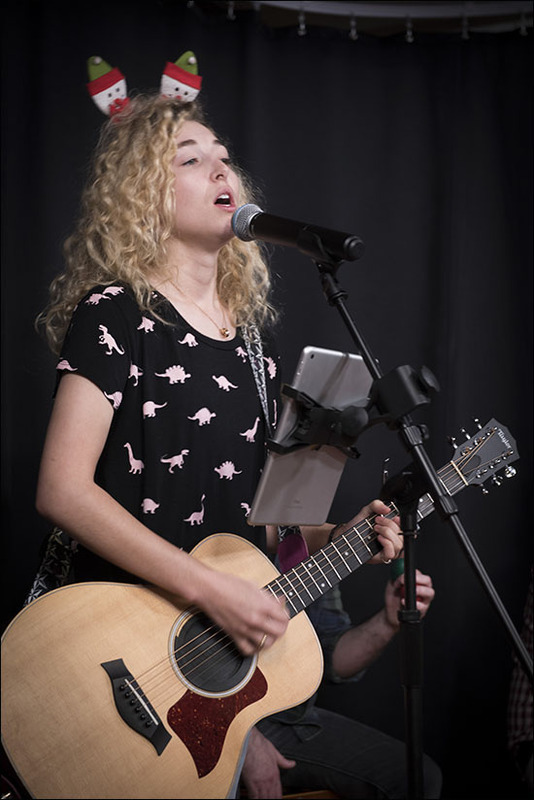 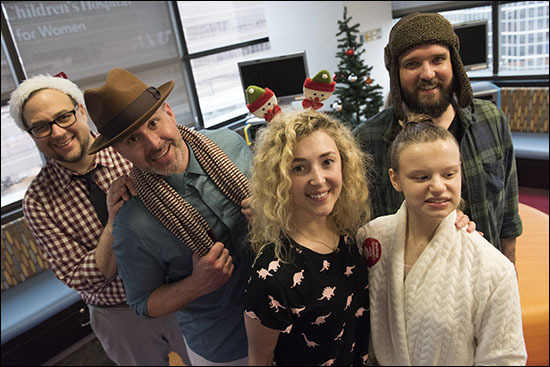 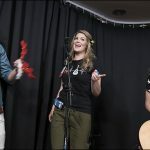 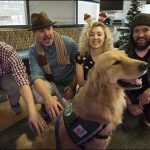 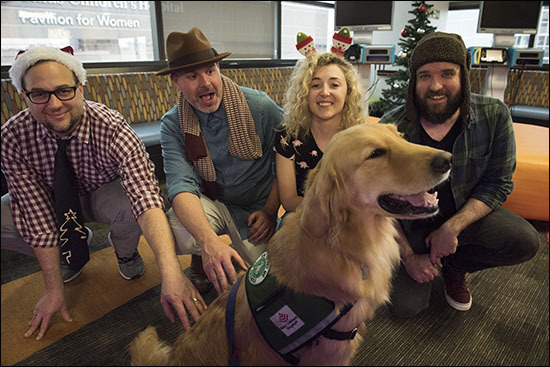 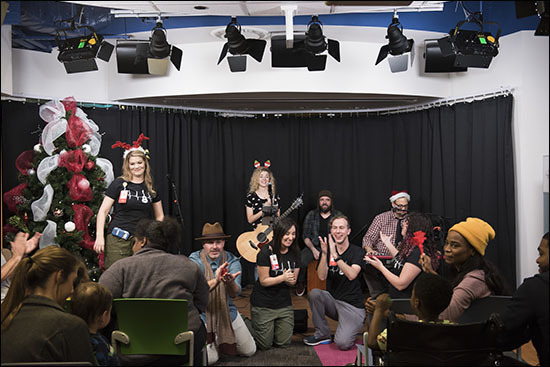 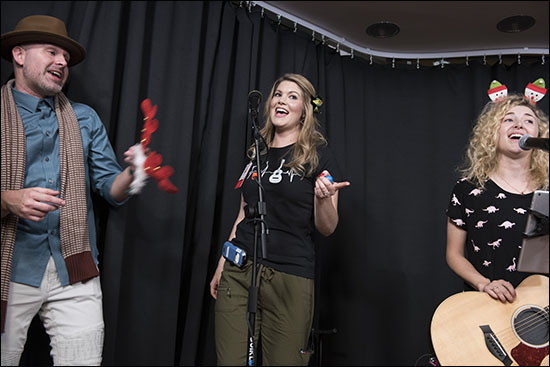 Dozens of patients, their families, and employees gathered in The Zone, for a concert as Blair sang and played the acoustic guitar with her band. 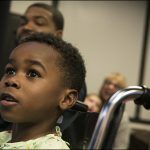 Music therapy is a very important component when it comes to an individual’s recovery process, especially with children. 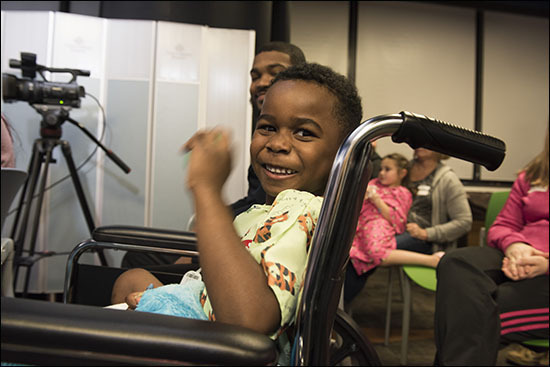 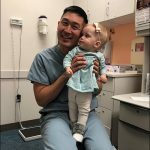 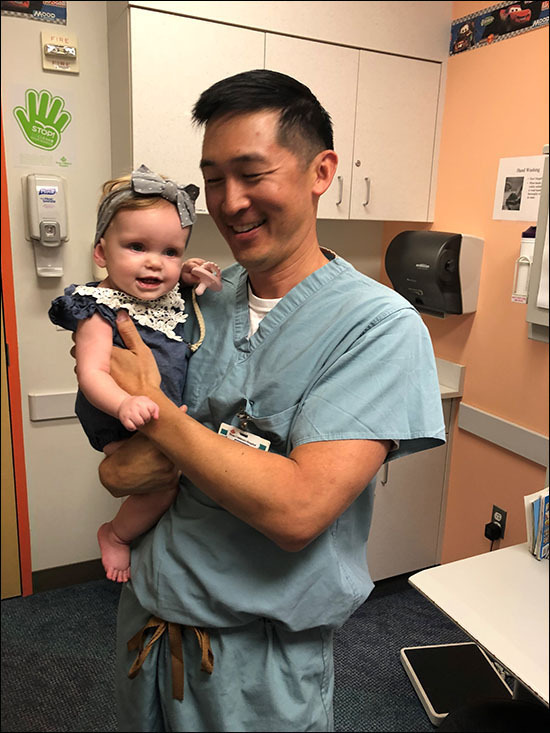 This gift will not only ingrain a new activity into the Child Life program, but also ensure smiles on patient’s faces and music in their hearts.